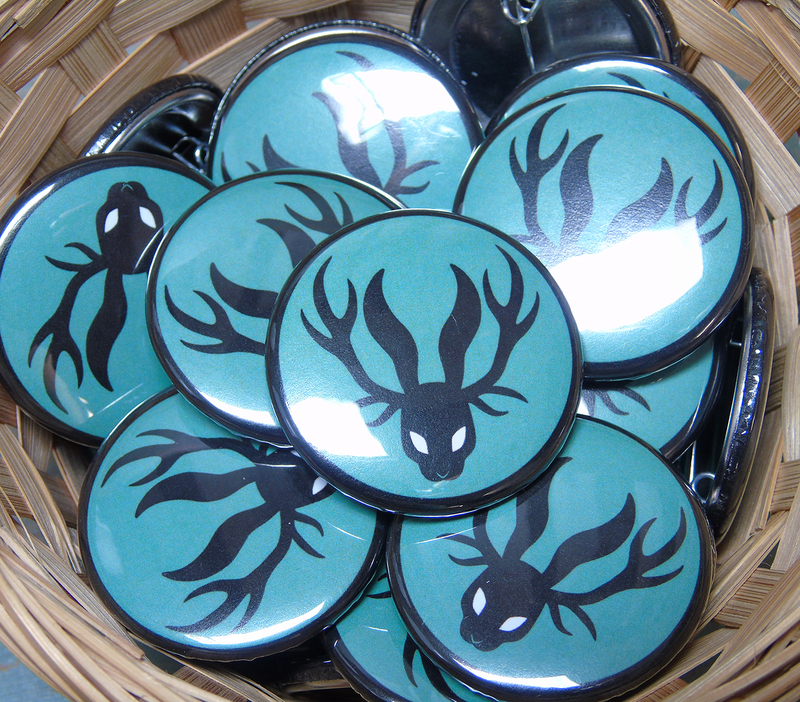 The jackalope is a mythical creature from North American folklore, traditionally described as a jackrabbit with antlers. 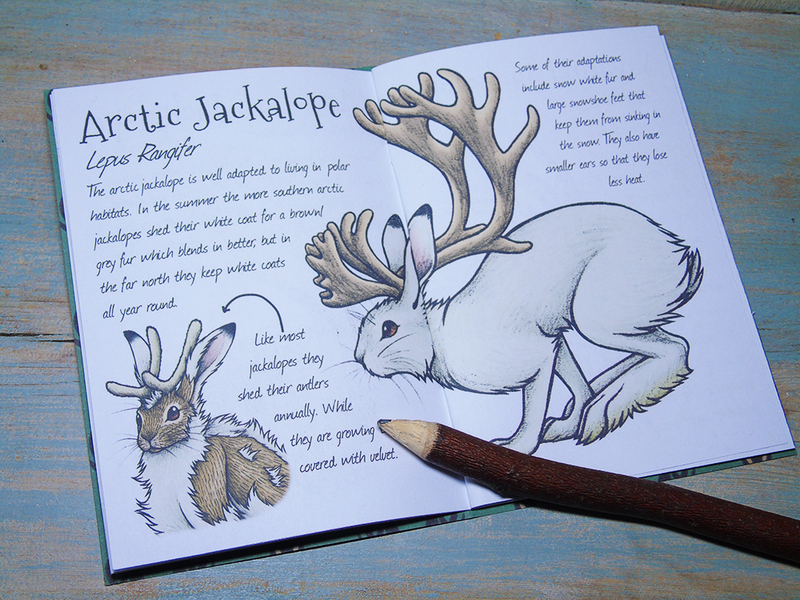 Wishing for these beautiful creatures to be real inspired me to create different kinds of jackalopes! 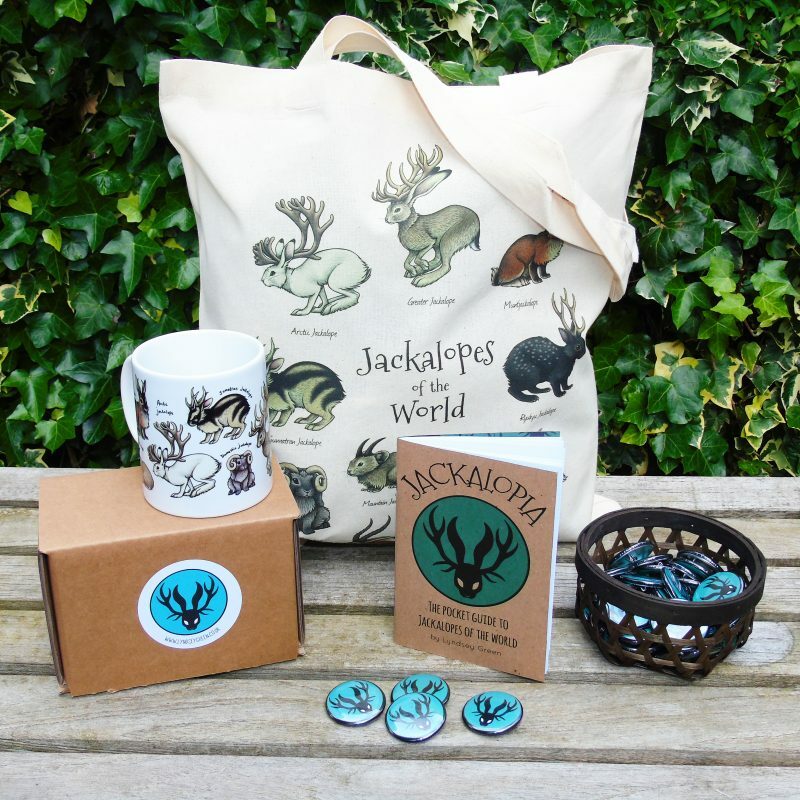 I experimented with how they might have evolved and adapted to live in different climates by combining different animals that live in similar environments. 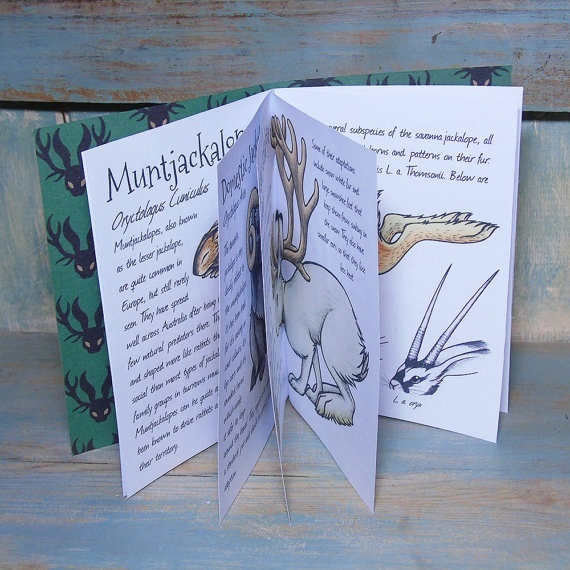 For example I mixed the arctic hare and reindeer to create the Arctic Jackalope! 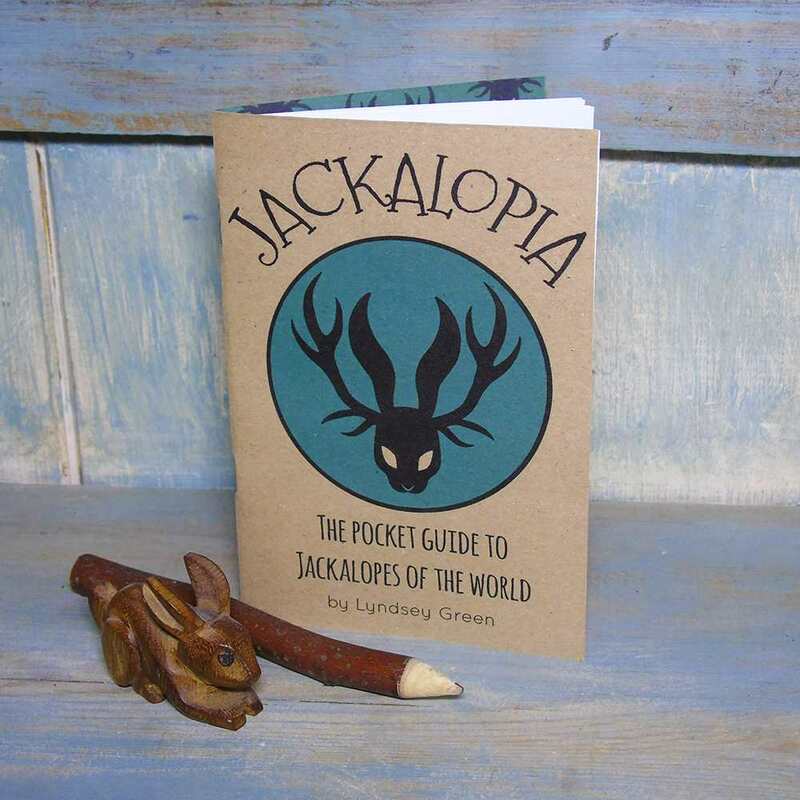 The Jackalopia is 20 pages long and made at A6 size, printed on recycled papers and handmade by me. Released in 2016.